My choice this week is Anything But Typical by Nora Raleigh Baskin. I am drawn to books about kids who are not "neurotypical," as my eldest has ADD and sometimes struggles with social cues. Jason Blake is an autistic 12-year-old living in a neurotypical world.Most days it's just a matter of time before something goes wrong. But Jason finds a glimmer of understanding when he comes across PhoenixBird, who posts stories to the same online site as he does. Jason can be himself when he writes and he thinks that PhoneixBird - her name is Rebecca - could be his first real friend. But as desperate as Jason is to meet her, he's terrified that if they do meet, Rebecca wil only see his autism and not who Jason really is. By acclaimed writer Nora Raleigh Baskin, this is the breathtaking depiction of an autistic boy's struggles-and a story for anyone who has ever worried about fitting in. I admire the way Raleigh Baskin enters the interior life of 12-year-old Jason, who is on the autistic spectrum. Jason is a good writer, but his outward mannerisms antagonize most of the people in his life. He starts an online friendship with a GIRL(!! ), but is terrified about what will happen when the two of them meet face-to-face. As in all good fiction, there's a roller-coaster of emotion linked to plot, when Jason thinks he's been able to ensure his secret is safe, followed swiftly by his worst nightmare: an actual meeting with PhoenixBird, who loves his writing but won't, he is sure, love the real him. This is a touching novel, which will appeal to tender-hearted readers. (I didn't even bother to show it to The Don.) Myself, I'd love to be pointed to other novels with autistic children as MCs. Got any recommendations? Barbara Watson is highlighting NOWHERE TO CALL HOME. Click HERE to see what she thinks. -Myrna Foster is spotlighting JACOB WONDERBAR AND THE COSMIC SPACE KAPOW. Click HERE to read her review. -Anita Miller is showcasing THE GIRL WHO COULD FLY. Click HERE to learn more about it. -Deb Marshall is featuring LOCH & REEF OF DEATH. Click HERE to read her review. -Joanne Fritz is highlighting THE FRIENDSHIP DOLL. Click HERE to read her thoughts. I am a huge fan of the blog Literary Rambles. Casey McCormick started it in 2008 and it is the definitive resource for finding out all about your favorite agents. Natalie Aguirre came aboard this year and is doing all sorts of book reviews and interviews with authors. Great stuff! Yesterday, Natalie began her new series which she's calling "Ask the Expert." And who is this expert? None other than the guys for whom we middle grade mafiosi (and ninja and jedi and just plain writers) write. You can find her first interview with a guy named Justin here. It was fascinating. Justin is an 8th-grader and a reader, but he doesn't find his reading choices on blogs. He gets recommendations from friends or sees ads on Facebook or Wikipedia. In fact, this is what Justin has to say about writers and their blogs: If authors had websites that looked nice, loaded quickly, and were updated on a daily or weekly basis, I would follow them. I don't know about you, but I've been to a lot of websites and most of them look lovely, upload quickly, and are updated regularly. So what can we do to get teens to visit, barring having them bussed in by the Don and his underlings? I have to hand it to Justin, though. At least he reads. Because I am not at all sure that middle school kids are reading much these days. Unless it's the text on their iPods, iPhones, and iDon'tKnowWhatElses. Kids spend most of their time on their cell phones checking out Facebook, MySpace, texting, playing video games, watching TV and listening to music. They actually don’t spend much time actually talking on their cell phones. Those 53 hours kids spend on media takes away from family time. Communication between parents and kids is almost non existent. All I can say is that when my 14-year-old finally saved enough money to buy himself an iPod touch, his screen time went through the roof. He used to be a big reader; now I have to force him (most of the time) to crack open a book. With summer fast approaching, I can look into my crystal ball and see certain things happening: 1) If I want my kids to be active, as well as spend their down time reading, I'm going to have to 2) spend way less time blogging and more time connecting with them. Either that, or I'm going to have to wake at 4 in the morning for my blog fix. I mean, who needs sleep, anyway? Anyone else have "a friend" whose teen spends too much time on-screen? If so, what strategies does your "friend" use to make sure his/her child knows what a book looks like? A middle grade mafioso would be grateful for some advice. Thanks so much, everyone, for making me so welcome on my Marvelous Middle Grade Monday debut last week. I appreciated your comments and visiting some other great blogs. I have a softspot for novels set outside the USA. If you want some rudimentary psychoanalysis (which I'm sure you don't, but I'm giving it to you anyway), this interest in other cultures probably stems from my being schlepped across the world as a child by my diplomat parents and living in eight different countries. Which is a long preamble to why I'm RAVING about a book about a young girl with a cleft lip in Afghanistan. Words in the Dust is the debut of Trent Reedy, and is told from the viewpoint of thirteen-year-old Zulaikah. She is jeered at and sneered at by the local ruffians, and constantly reminded by her father's second wife that she will be lucky if anyone wants to marry her. P.s. My wife, who had a cleft lip and palate as a child, and therefore has some great insights, also wrote a review on her book blog. -Joanne Fritz features GREY GRIFFINS: THE CLOCKWORK CHRONICLES (Books 1 and 2) with a GIVEAWAY. Click HERE to read her review and enter. -Shannon O'Donnell always has an awesome MMGM recommendation. Click HERE to see what she's featuring this week. -Barbara Watson is highlighting BELLE PRATER'S BOY. Click HERE to see what she thinks. -Aly Beecher is featuring JUNIPER BERRY--with a GIVEAWAY. Click HERE for details on how to enter. -Myrna Foster is spotlighting THE SECRET OF PLATFORM 13. Click HERE to read her review. Plus, of course, the MMGM Mother of them all, Shannon Whitney Messenger, who reviews Shannon Hale's THE GOOSE GIRL--with a GIVEAWAY. You can find the review HERE. Hi, everyone. I'm back from my secure and undisclosed location. The no-internet thing was getting to be a drag (I missed you all!). Plus, I had trouble sleeping. The place was way too noisy. One morning I woke to see a helicoptor on top of my neighbor's wall, of all things. I mean, if I'd written that in a novel, you wouldn't have believed me. Don Vito's thrilled I'm back. But he wasn't so thrilled when I gave him a book to read. I thought The Wednesday Wars would be an intriguing title, but he kind of got fixated on the etching of Shakespeare on the cover. Don Vito: This is about Shakespeare? Michele, this Shakespeare is not top grade. Me: Really, Godfather? I mean, everyone thinks he's the world's greatest writer. Don Vito: Why didn't you say so in the first place? Doity rats?! Now that's good literature. Off he went to his study. As I write this review, I can hear him muttering and laughing. So far so good. Setting: Long Island, late 1960s. Main Character: Holling Hoodhood, a seventh-grader. Plot in a nutshell: Holling thinks his teacher, Mrs. Baker, hates his guts. He's convinced of her nefarious plots to get him. Life truly becomes terrible when he ends up, on Wednesday afternoons, as the only student in his class not being bussed out for religious studies. (Half the class is Jewish, the other Catholic--Holling is the lone Presbyterian.) Mrs. Baker makes Holling do all sorts of drudgeful tasks, including whacking the blackboard erasers to rid them of chalk dust. Eventually, he graduates to reading and discussing Shakespeare with her. He discovers she isn't the ogre he once imagined. She's actually a teacher with his best interests at heart, although she is prone to rolling her eyes and folding her arms. Holling takes part in The Tempest, joins the cross-country team, has a great experience in Yankee stadium, and makes peace with his older sister. Lots of other things going on: Holling's father is interested only in winning architectural honors and is a cold fish to his children; the school cook's husband is killed in Vietnam, where Mrs. Baker's husband also goes missing. 1968 is the year in which both Martin Luther King and Bobby Kennedy are assassinated, and Holling's sister begins to protest the war. Holling begins a tame romance with Meryl Lee, his classmate. And yes, there are two "doity" rats called Caliban and Sycorax who escape while Holling is cleaning their cage. And a cloud of blood-sucking mosquitos. And a happy ending. Would I read more of Gary D. Schmidt: Emphatically yes! Here comes the Don now. Oops, things aren't looking good--he's got a huge frown on his face. He's reaching out to grab me. Aargh! Bear hug! The Don: Michele, even the Shakespeare stuff wasn't so bad. And the school has a Mrs. Bigio and a Mr. Petrelli! Those are my kind of teachers. And Yankees baseball with Joe Pepitone... 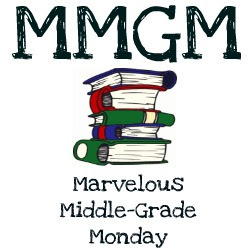 I don't care what they say about Joe, he's good famiglia... And everyone should have a teacher like that Mrs. Baker, I'll send my limo round for her, take her out to dinner..."
(Post Postscript: This is my first review on Marvelous Middle Grade Monday, started by Shannon Messenger. This week, she is reviewing Justin Case by Rachel Vail. Here is a list of other MMGMers. You might like to check them out too! Joanne Fritz discusses THE SHADOW CHILDREN SEQUENCE books. Click HERE to read her review. -Natalie Aguirre is interviewing author Rosanne Parry, with a giveaway of SECOND FIDDLE. Click HERE to read more and enter. -Sheri Larson is hosting author Kari Lee Townsend on her blog to talk about SAMANTHA GRANGER. Click HERE to read the interview. -Barbara Watson is highlighting STEINBECK'S GHOST. Click HERE to see what she thinks. -Sherrie Peterson, is reviewing the audiobook for THE INDIAN IN THE CUPBOARD. Click HERE to read all about it. -Aly Beecher is featuring JEREMY BENDER VS THE CUPCAKE CADETS. Click HERE to read her review. Gary D. Schmidt: Where Ya Been All My Life? I'm coming to you live this week from a secure and undisclosed location. The reason? Well, it's hard being the current protege of the Godfather himself. Don Vito's been sending insistent e-mails (yes, he's taken to technology like a seal to salt water) telling me he'd be happy to "take care of" the competition for me. Also, I'd like an agent? His capo, Mr. Clemenza, has a sister whose boy would like to get into that racket. There was a lot more about the worthlessness of 15%, and about a real agent's anatomical rigging being worth much more than this paltry sum, but this is a family blog and sometimes the Godfather's words aren't fit for little ears. I've got only a few pages to go and have been laughing and crying in equal measure. This guy, Gary D. Schmidt, can write. Once I'm done, I'm going to write a review and see if I can't sneak out to the local internet hookah joint French cafe and link it to Shannon Messenger's next Marvelous Middle Grade Monday post.